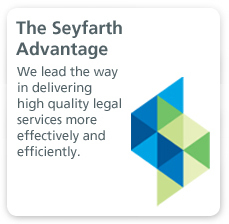 Seyfarth Shaw brings extensive experience to Chapter 11 reorganization plans and Chapter 7 liquidations. Through our combination of thoughtful strategy and a client-focused approach, we navigate the complexities of bankruptcy law and maximize the benefits available to debtors seeking to reorganize their business. Representation of debtors involves creativity, strong negotiation skills and the ability to achieve the trust and confidence of all constituencies and the court. We are proud to say that we have the skills and confidence necessary to achieve our clients’ objectives. Our Debtor Representation team appears in federal bankruptcy courts across the country armed with keen knowledge of federal law and national and local rules of procedure. In addition, our attorneys combine industry experience, litigation skills and in-depth familiarity with substantive law to aggressively pursue positive results for debtors. Our expansive knowledge of how debtor and creditor issues affect day-to-day operations and long-term business viability helps us to provide the guidance necessary for our clients to achieve their goals. We work closely with senior management, skilled professionals and other decision makers to conduct thorough needs assessments and offer innovative solutions on how to best structure Chapter 11 reorganizations, or if necessary Chapter 7 liquidations. We are also experienced in complex cross-border insolvency matters representing foreign representatives in connection with Chapter 15 cases and related foreign proceedings to help debtors protect their assets in the U.S. and abroad. Whatever the need in the area of debtor representation, our attorneys develop solutions and bring the skills and resources necessary to do the job. 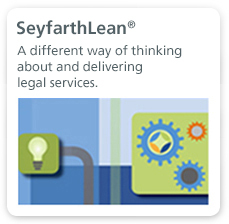 As an added value, we look for innovative ways to apply SeyfarthLean and process mapping whenever appropriate for our clients. For instance, attorneys in Seyfarth’s Bankruptcy and Real Estate practices have utilized SeyfarthLean for our retail real estate clients to address the complete array of tenant bankruptcy issues. As a result, we are able to more efficiently deliver our services and develop an alternative fee product based on a solid understanding of the time and resources required in each of our matters. 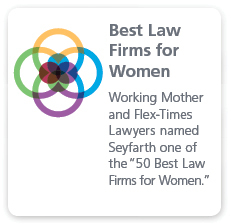 At Seyfarth, we not only handle the immediate emergencies associated with bankruptcy and insolvency, but we also focus on strengthening our clients’ future positions and counsel them on how to strategically avoid crises and litigation.